Thailand is renowned as an amazing tropical holiday destination home to excellent surfing, swaying palm trees and crystal clear water that makes for a tempting slice of paradise. Thailand beaches also have a reputation for being some of the best in the world. Not only are they beautiful, but there are a huge number of Thailand beaches to choose from, making it somewhat difficult to decide which ones to visit during your holiday. To make your choice a little easier, we've compiled our pick of the top five Thailand beaches. Staying in Phuket? Check out the regions top 10 beaches here. Nang Thong Beach, Khao Lak: A beach of many faces, Nang Thong offers stunning sunset strolls, fascinating shells and treasures to discover as well as excellent snorkelling. Parallel to the heart of Khao Lak, this popular beach enjoys easy access to shopping, dining, accommodation and nightlife. 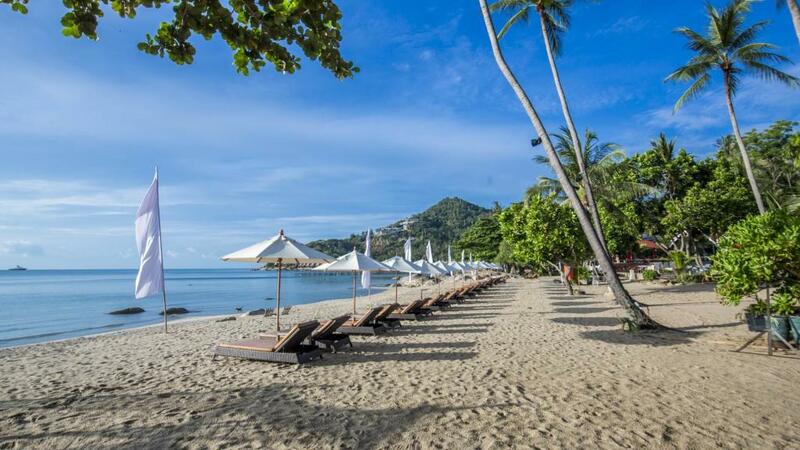 Lamai Beach, Koh Samui: Offering striking scenery, pristine sand and a laid back atmosphere, Lamai Beach is a relaxing escape. Lamai Beach has some of the most beautiful water that is perfect for swimming, snorkelling and a whole range of water sports. There are also plenty of bars and restaurants to enjoy nearby. Kata Beach, Phuket: Not far from Patong, the relaxed atmosphere of Kata is a welcome change. In the quiet you can enjoy shady palm trees, picturesque landscapes and warm water. There is little modern development in sight so it's just you and Mother Nature. Surfing is at its best here during the low season when the waves intensify. Patong Beach, Phuket: The largest and most popular of the Thailand beaches, Patong is famous for its golden sands, warm water and vibrant atmosphere. The wide coastline is surrounded by a fantastic range of shopping, dining and accommodation so there's plenty to explore and as the lights go down, the party atmosphere of Patong really comes alive. Railey Beach, Krabi: Despite being part of the mainland, Railey can only be accessed by boat and offers an intimate and secluded atmosphere. From the beach you can see the smaller outer lying islands and the crystal waters are surrounded by towering cliffs. Rock climbing, snorkelling, swimming and simply relaxing are the most popular activities on this uncrowded beach.